Strathroy Middlesex General Hospital (SMGH) is a part of the Middlesex Health Alliance that serves a population of approximately 35,000 people. Located in Strathroy, SMGH is a full-service family-centred community hospital providing a comprehensive range of services. 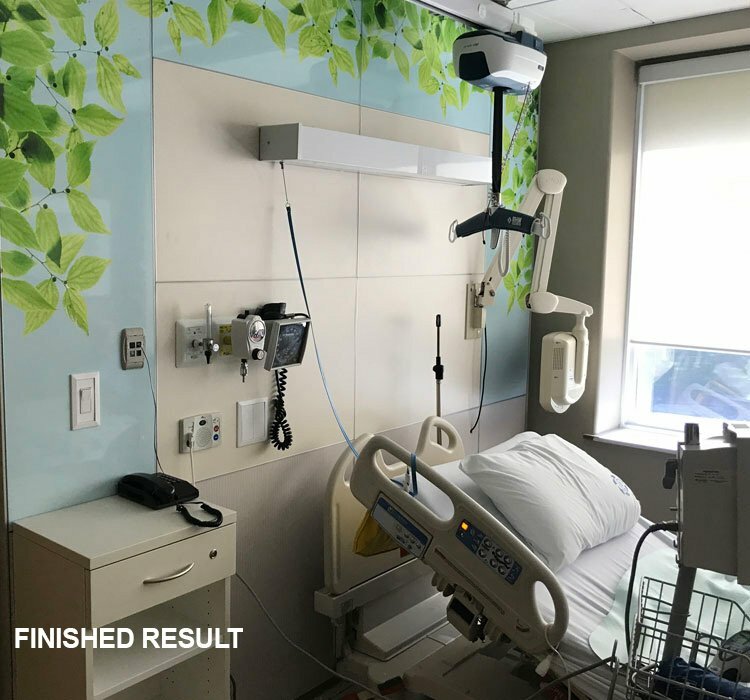 After working with Verto360 on Four Counties Health Services, Middlesex Health Alliance worked with Verto360 and DIRTT to develop a new headwall standard for SMGH. Having access to all elements on the headwall was important for hospital staff. 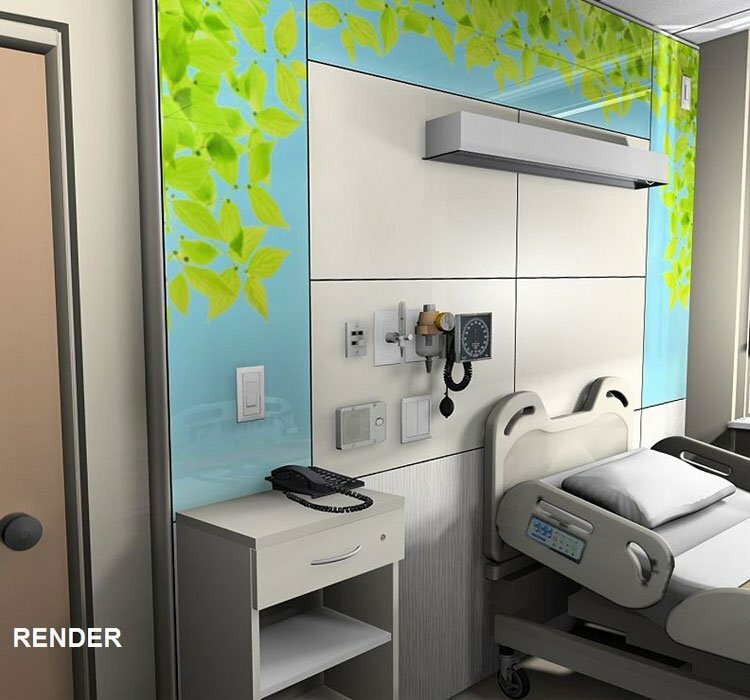 By building with DIRTT, medical and electrical devices can be replaced, accessed and added without excessive patient disruption. DISS Oxygen and DISS vacuum outlets with piping were also easily incorporated in the factory by DIRTT into the wall. SMGH chose a bright and colourful nature graphic on a write away film to bring colour into the room. 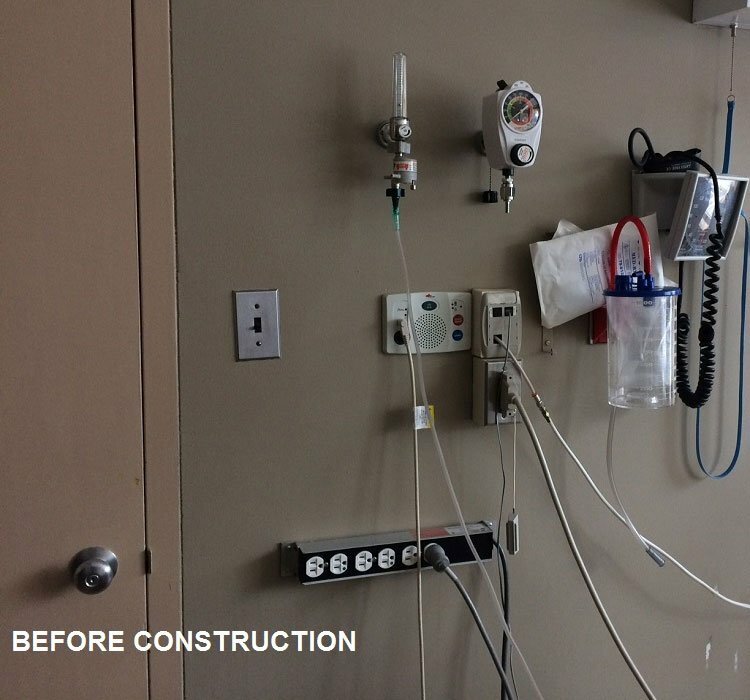 Thermofoil panels and millwork were used, as well as, sealed gaskets to ensure infection prevention standards were met. 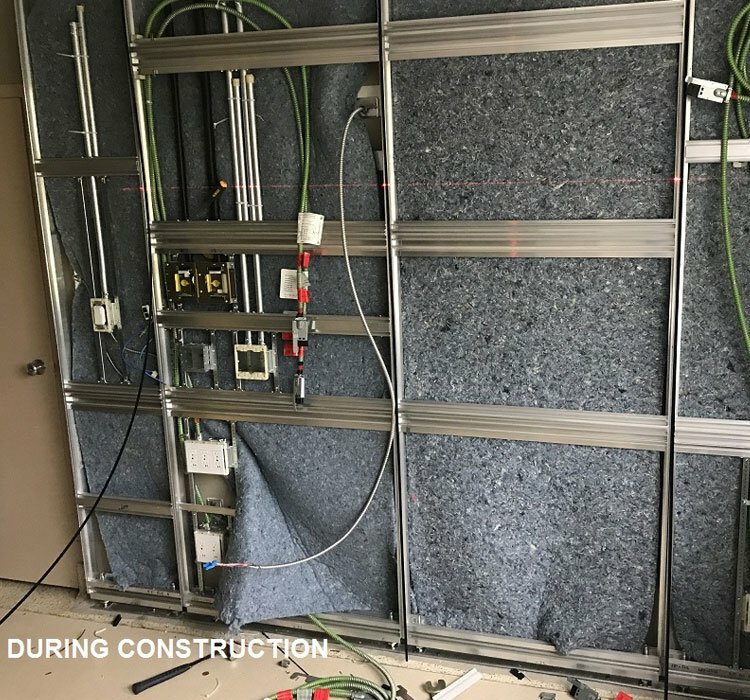 Verto360 was able to create a headwall solution that caters to all of the hospital’s needs and allows quick and easy changes to be made in the future.